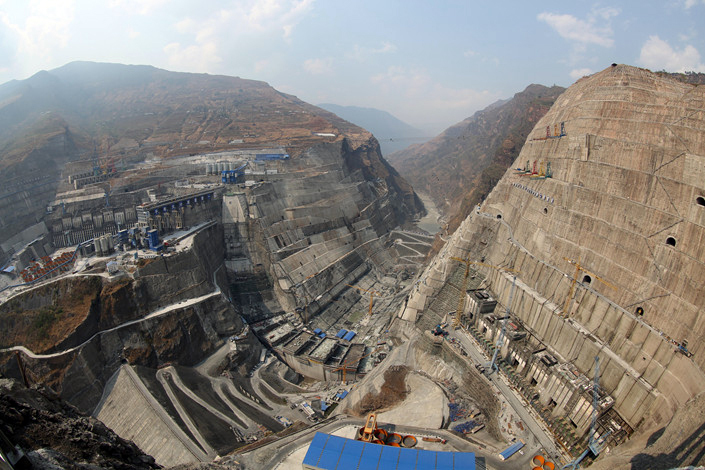 (TibetanReview.net, Apr01’19) – China says it has begun work to build the main structure of a 2,240-MW hydropower station on the Jinsha River (Tibetan: Drichu), the upper section of the Yangtze River. A cofferdam was built upstream of the construction site on Mar 30 in preparation for further building work, reported China’s official Xinhua news agency Mar 31. The report said the Yebatan Hydropower Station was located at the junction of Baiyu (Palyul) County in what is now part of Sichuan Province and Konjo (Gonjo) County in Tibet Autonomous Region. The report noted that it will be the largest hydropower station on the upper reaches of the Jinsha River upon completion, with capacity to generate about 10.2 billion kilowatt hours of electricity per year. The project is undertaken by China Huadian Corp. with a total investment of about 33.4 billion yuan (about US$ 5 billion), and its first generating unit is expected to start operation in 2025, the report said. It was earlier reported in Jan 2019 that China had approved the building of what would be one of its tallest dams at the junction between Tibet autonomous Region (TAR) and the Tibetan prefecture of Karze in Sichuan Province over the Jinsha River. The National Development and Reform Commission, China’s top economic regulator, said Jan 15 that it had approved the construction, reported the country’s official chinadaily.com.cn Jan 16. The total investment for the 239-metre (784-foot) tall Lawa hydropower project will be 30.97 billion yuan ($4.59 billion), the report added. It was reported that the Huadian Group Co Ltd will have a 48 per cent stake in the project, with minority stakes being held by local provincial firms.